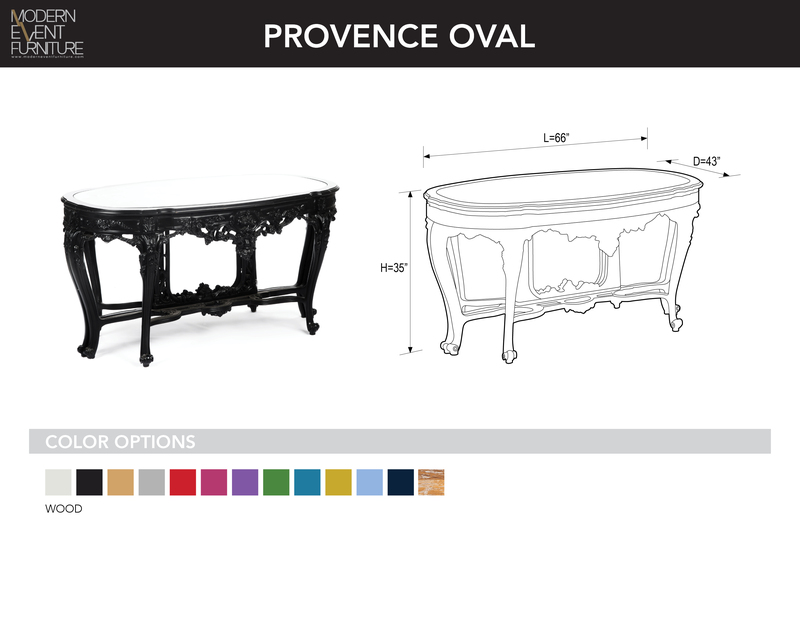 Provence Oval - MEF Modern Event Furniture Inc. The PROVENCE oval table can be used as a whole table or as 2 halves. With it's hand carved, ornate, nail head design - the PROVENCE is the perfect console table for any setting.